Pervis L. Lukefahr, Sr., age 92, of Leopold, MO died Saturday, March 20, 2004 at Southeast Missouri Hospital. He was born June 11, 1911 at Millhein, MO. son of Thomas Jefferson and Hattie Blaylock Lukefahr, he married Beulah Haupt and she died October 2, 1969, he then married Nellie Sterns and she preceded him in death, then he married Revena Friese and she preceded him in death. 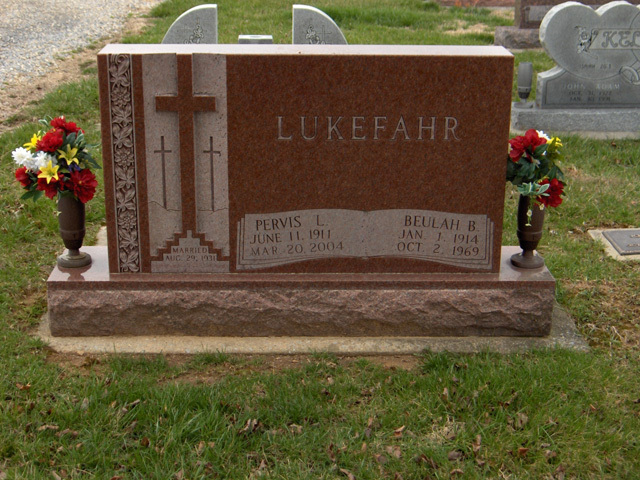 Mr. Lukefahr was a farmer and helped build the Woodland school and served on the school board, was a member and an Elder of the Lutesville Presbyterian Church. Survivors include; four sons Lenzel (Patsy), Leroy (Bonnie), and Junior (Judy) Lukefahr all of Leopold, Jim (Liz) Lukefahr of Newton, IA, one daughter Viola Cazadd of Florrisant, MO, one daughter-n-Law, Phyllis Lukefahr of Cape Girardeau, two sisters Ruby Bollinger of Springfield, IL, Hazel Hahs of Sedgewickville, eighteen grandchildren, twenty three great grandchildren, two great great grandchildren. 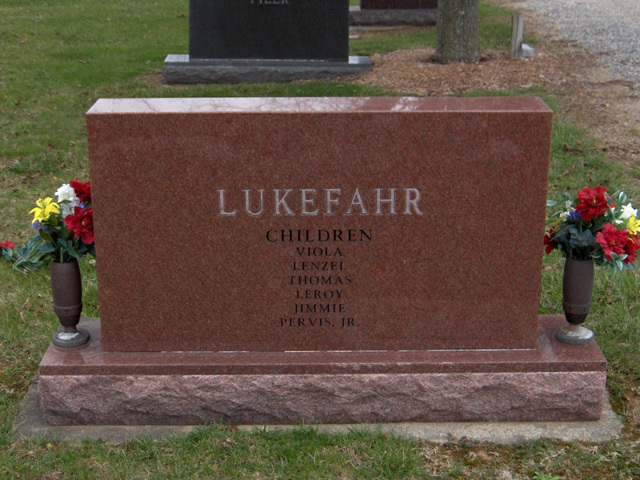 He was preceded in death by his parents, one son Thomas Lukefahr. Visitation will be Tuesday, March 23, 2004 from 4:00 to 8:00 PM at the Liley Funeral Home in Marble Hill. Funeral services will be Wednesday at 10:00 AM at the Funeral Home with Rev. Tom Bass officiating, burial will follow in the Bollinger County Memorial Park Cemetery, near Marble Hill.